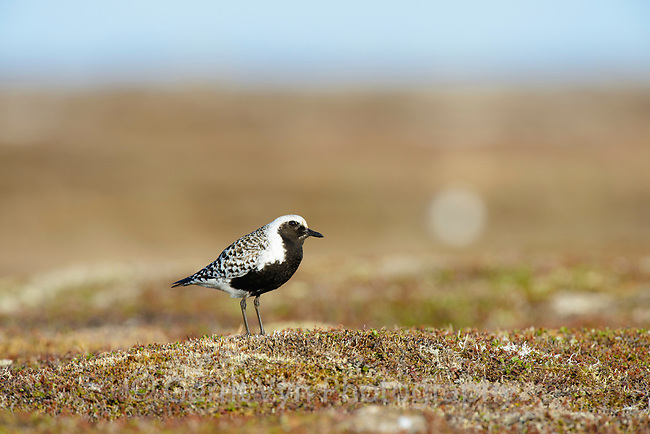 Male Black-bellied Plover (Pluvialis squatarola) in breeding plumage watching a gull fly overhead. Yukon Delta National Wildlife Refuge, Alaska. June.